Many business environments these days are very now-now-now, especially publicly-traded companies that have quarterly goals to achieve. This can bleed over into strategy; executives often want strategies that will pay immediate dividends, because that (a) makes the company perform better but also (b) makes them look better. The problem is there is a significant gap between strategy (long-term thinking and vision) and execution (how that long-term vision plays out with your employees day-to-day). 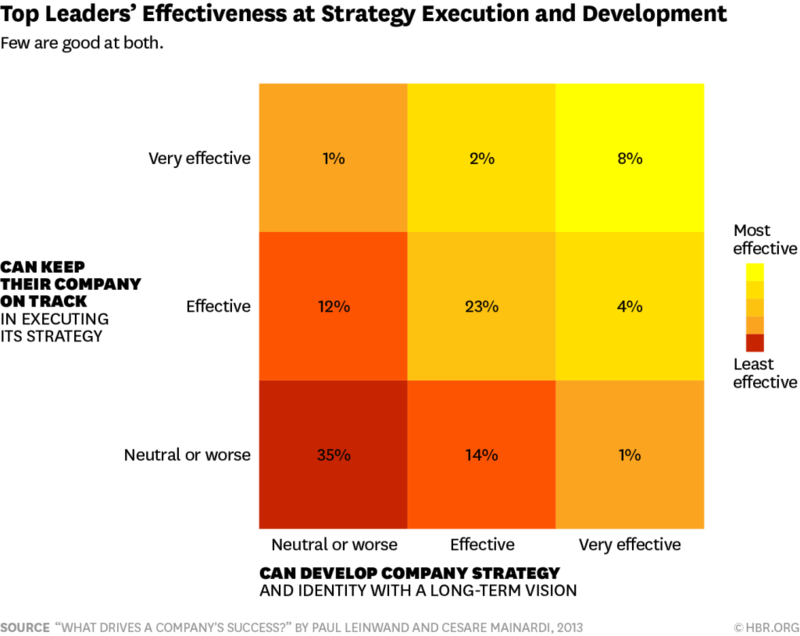 Take a look at this article from Harvard Business Review, depressingly called “Only 8% Of Leaders Are Good At Strategy and Execution,” and pay particular attention to this graphic illustrating that there are 4x as many leaders considered “neutral or worse” at the intersection of strategy and execution (35%) as opposed to those considered “very effective” (8%) at both. This is obviously a large problem for organizations — this particular study was done in 2013 with 700+ companies across a variety of industries — and it speaks to an important aspect of strategic planning that often gets overlooked: Commitment. When we talk about strategy, clients can often mix it up with important business concepts like “vision” and “purpose” and “goals.” While these are all important aspects that inform the strategy, the single-most overlooked success factor of strategic planning for any organization is simply commitment. Think of it like this; there is a good chance your leadership team isn’t yet operating from a strategic place. It takes time to get there. Time that you may feel you don’t have because you still have to make time for your daily tasks — i.e. the business of actually doing business. Making the time for all of it requires commitment. For some it can seem daunting or overwhelming, but in our experience committing to a long-term view and adding these types of activities to your day-today will amplify your results and help you bridge the gap between your strategy and execution. 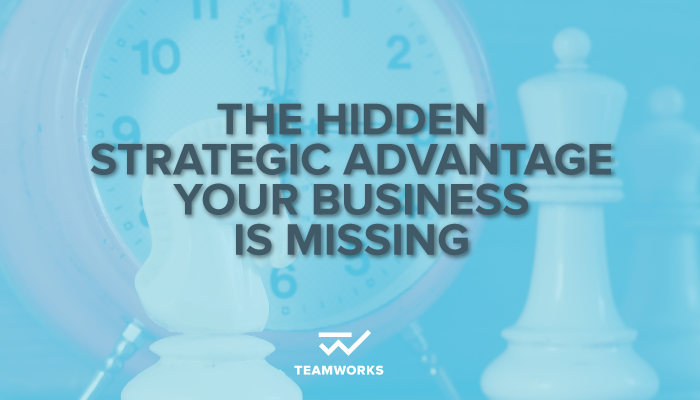 Within our practice at TeamWorks, for example, we design minimum three-year engagements when working with an organization on their Strategic Plan. The three-year engagement is preferable because it allows for relationships to be built — this is harder on six- or 12-month engagements. It also allows us to develop a holistic view of an organization’s next steps that can be evaluated quarterly, in conjunction with financial metrics — giving the client time to see the impact of their decisions. Oftentimes, companies launch a new campaign or strategy and its impact can’t be seen immediately; the true resonance isn’t known for a year or more. If you take a short-term view you may miss vital insights or opportunities. Building quarterly reviews into the plan allows us to evaluate the interplay between strategy (bigger issues) and execution (daily tasks); the latter can often overwhelm the former, but with 12 big-picture meetings across a three-year commitment, we can help organizations maintain a focus on strategy. Are you committed to driving strategic change? Or do you simply want quick results to please a market or Board? There are ways to achieve each, but strategy can only come from a base level of commitment to the long term.